It doesn’t matter what part of the country you live in – the glass in your home’s doors take a beating year round. If you’ve decided it’s time to make the doors of your home look like new again, then look no further than Affordable Glass & Mirror glass door services. Just because you’re looking for a new glass door doesn’t mean you’re going to get the same one again. 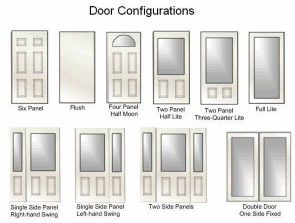 A change up in your door can really add something special to your backyard or patio and that’s why we will work with you and give you options to help you pick out the best design for your new door. Once you decide on the design you like best, we will create it using the finest materials to give you the best possible door for your home. If you just want to replace your glass door with another in the same style, we can handle that as well. We can take care of the installation of something as small as a new, custom-designed pane up to a complete door replacement, if you want to keep your doors the same size, but just add an entirely new look. We specialize in glass door installation, so no matter what you need to be put in, we’ve got you covered. We also offer door frame and glass door repairs. If the area around your door is starting to wear, rot or crack, there’s no need to worry. Our team can come out and fix it so your door won’t give you any further issues. In addition, if you are thinking of adding a sliding glass door to your home, we also offer frame construction as well. At Affordable Glass & Mirror, we offer residential glass window and door repairs and installation services in Lake City, Georgia, and the surrounding area. If you would like more information on our services, feel free to call us today at 404-361-5151!